I may not eat sugar or sweets but one occasional indulgence I allow myself is chocolate. While there have been ongoing debates about whether chocolate is actually good for your health, chocolate just tastes good and feels like a decadent treat. The flavonoids in chocolate have been shown to lower blood pressure, improve your cholesterol levels and vascular functions. Dark chocolate contains a higher proportion of flavanoids than milk chocolate. I prefer dark chocolate anyway but the problem is that most of them still contain sugar which has zero benefits so I consume them sparingly. Of course my interest was piqued when ChocZero reached out and asked if I want to try their chocolate. 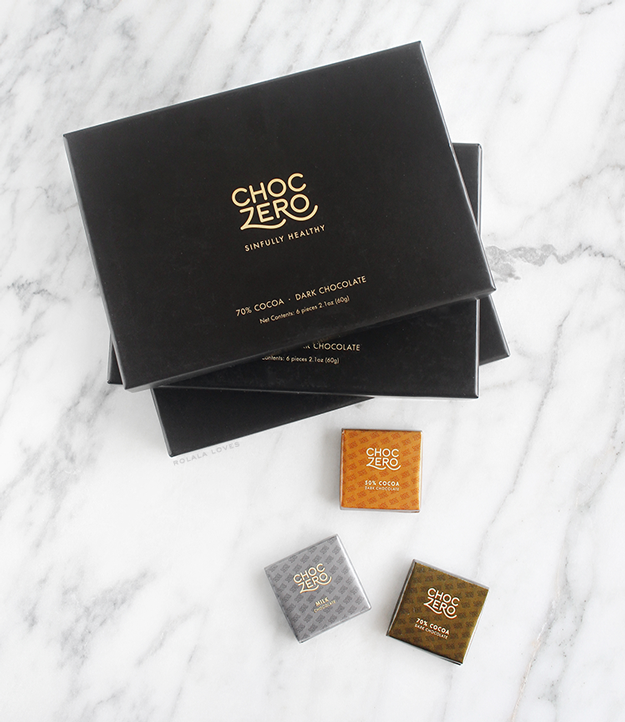 ChocZero is a natural, premium, artisan-style, zero sugar chocolate. They use natural, soluble vegetable fiber and monk fruit extract rather than replacing the sugar with sugar alcohols, artificial sweeteners, or additives. This results in a guilt-free, fiber fortified, chocolate confection that tastes just as good as the next artisan chocolate. 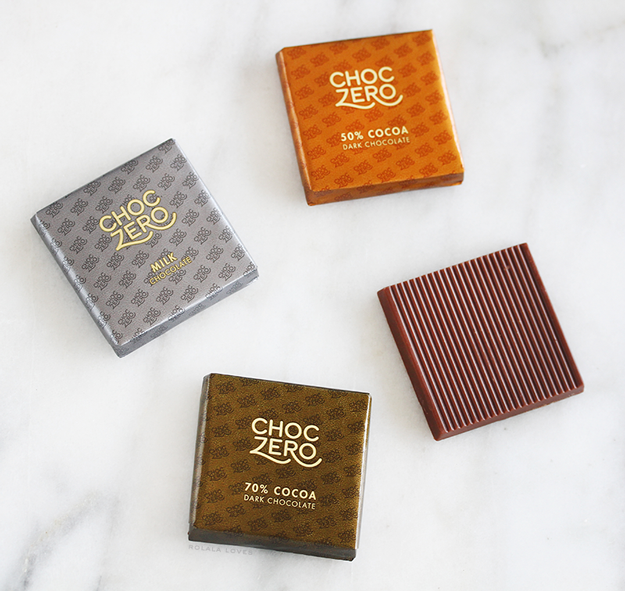 ChocZero comes in three flavors: Milk Chocolate, 50% Dark Chocolate, and 70% Dark Chocolate. 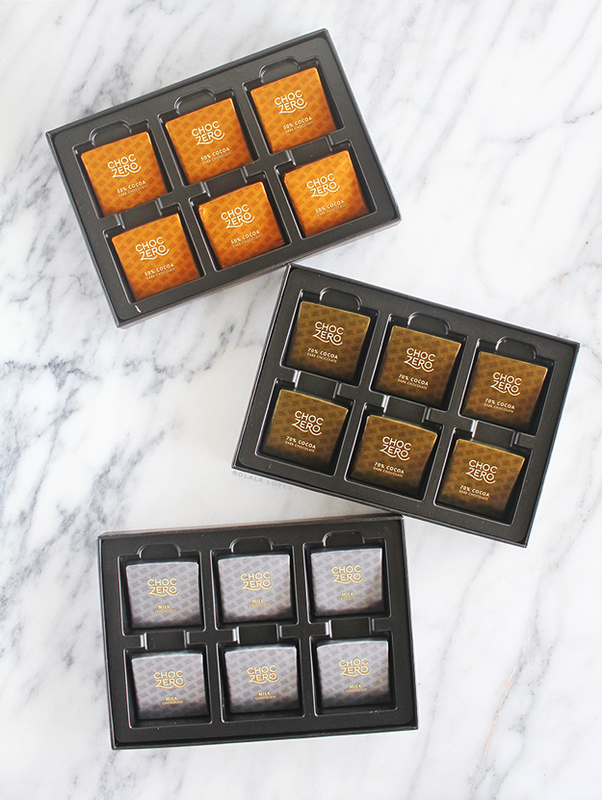 They are packaged in individual boxes of six or bags of ten. The all natural ingredient list is both brief and understandable which is always a good bet. ChocZero Dark Chocolate ingredients: Dark Chocolate (Unsweetened Chocolate, Cocoa Butter), Soluble Corn Fiber, Sunflower Lecithin, Monk Fruit Extract, Madagascar Bourbon Vanilla Beans and Natural Flavor. ChocZero Milk Chocolate ingredients: Milk Chocolate (Whole Milk Powder, Cocoa Butter, Unsweetened Chocolate), Soluble Corn Fiber, Sunflower Lecithin, Monk Fruit Extract, Madagascar Bourbon Vanilla Beans and Natural Flavor. So none of this matters if it doesn't taste good. I'm happy to report that ChocZero exceeded my expectations. It's no Royce Chocolate but ChocZero has a rich, smooth texture that you would expect from a quality chocolate. You definitely wouldn't know that they're sugar-free from the taste. I gave some out to friends and no one could tell the difference. In my opinion, the lack of sugar actually elevates the flavor of the cocoa. My favorite of the three was the 70% Dark. It was balanced with that subtle hint of bitterness that good dark chocolate has which lingers in your mouth afterwards. ChocZero is FDA approved, GMO-free with only one net carb and five grams of fiber per 10 gram piece. The chocolates pictured in the above photo are pretty close to actual size. The Milk Chocolate is 50 calories, the 50% Dark Chocolate is 40 calories and the 70% Dark Chocolate is 45 calories. ChocZero is safe for diabetics and perfect for those who have special dietary needs or those who just want to enjoy chocolate without the sugar or guilt. 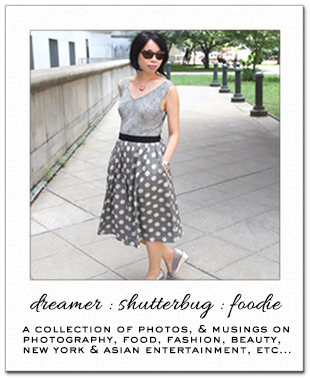 ChocZero can be purchased through the brand's website or on Amazon. It's not on Prime but they do offer free shipping. Just for reference, they package it with dry ice for transport so the chocolate won't melt. I've already ordered 3 bags for myself so that tells you how much I like it. Do you like chocolate? What is your favorite kind? I always try and find a good, sugar free alternative to tasty treats so this is good news to discover. If I run into some I will try for sure. Great job! They must be delicious, like it! NEED this in my life ASAP! Thanks for sharing. OMG I really love chocolate. As much as I am a milk chocolate fan, I must admit that sugarfree chocolate is way more healthy. Chocolate (natural) has a lot of benefits. How cool your friends didn't notice the difference! And yes, it seems that this is a very good one when you purchased for yourself (I know your "love" for sweets). I adore chocolate and it's seriously my biggest weakness! This sounds like a much healthier approach to indulge my favourite snack, thank you for the introduction, Rowena! oh yum. they look delicious. 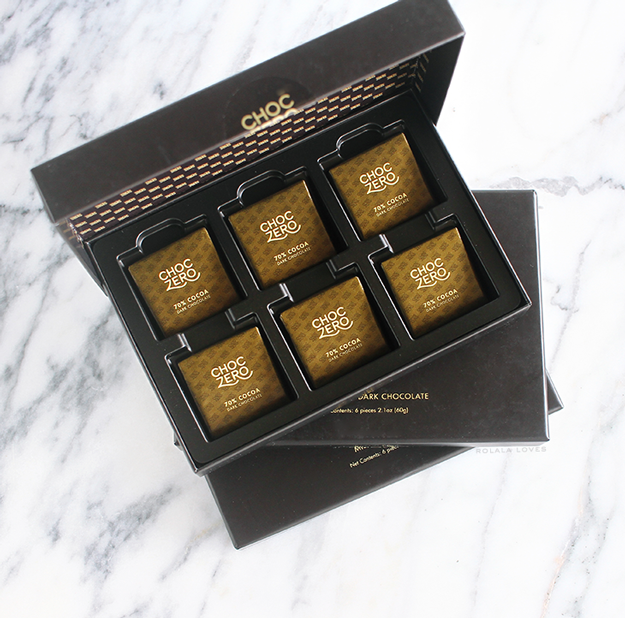 This packaging is absolutely chic!!! I'm one of those picky chocolate eaters! I prefer German or Swiss made, only because it's so smooth compared to the junk mass made chocolates we get here in the US. The darker the chocolate the better - bitter and savory. There's something heavenly about a good piece of dark chocolate. Do you know if this is safe for diabetics? My sister is a total chocoholic and was devastated when she found out she was diabetic. We've tried several different sugar free treaties and she's not been fond of any of them since the artificial sweeteners make the treats taste....artificial. Rowena, I like really good chocolate and you sold me when you said that you nor your friends could taste the difference(sugar free). Because I have had sugar free and it tasted like such. LOL These look awesome! Thanks for the introduction. Looks yummy.. I like that it is sugar free. Oh wow guilt free is right, no sugar and a healthy sweetener, non GMO so yay! I don't have a big sweet tooth but do crave chocolate so this is mighty good to know. ooh thanks for the review! You know I try to limit sugar in our family and it's tough with chocolate! I would definitely get this. I wish Choczero sent me a few packages too! My little one would be all over dark chocolate. I love chocolate, especially dark, though I won't say no to milk lol. I'm not a fan of white anymore, it's too sickly and the process involved to create it isn't very appealing to me. I always though dark chocolate was good for health, not so much the other two. So I'm loving ChocZeros concept. Making chocolate even healthier, yes please! I love chocolate, sugar free is just a plus. This is the first time that I hear of this kind of chocolate. I would really like to know what it tastes like. I haven't tried this but I'm a huge fan of white chocolate so that would be my first pick. Great tasting sugar free products are always a welcome idea. sugar free chocolade...count me in! This brand sounds lovely...I love artisan sweets! My husband is diabetic so this is great for him. I would like to try it too just to see how it tastes. I have a chocolate addiction. I need to have it like everyday so this is a great sugar free option. I love the packaging too. I love chocolate! This sounds awesome! I love chocolate too, would love to try these presented to us, I get curious about its taste, product presentation is very nice! Kisses.